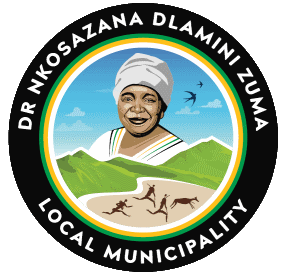 Dr Nkosazana Dlamini-Zuma Municipality is requesting bids from a suitably experienced service provider for the Panel of Attorneys. This bid will be evaluated in terms of Functionality and 80/20 Preferential Procurement Point System and the points will be allocated as follows: 80 – Price, 20 – BBBEE. Bid documents can be obtained from 08:00 to 10:00 at the SCM Office on the date of the compulsory briefing meeting that will be held on the 23 April 2019 at 10:15 at Dr Nkosazana Dlamini-Zuma Municipality. The cost of the bid document is R397,00 which is non-refundable. DOCUMENTS TO BE SUBMITTED WITH THE BID: • Valid Tax Clearance Certificate or Tax Compliance Status PIN • A certified copy of the most recent Municipal account in which the business is registered. District Municipality (water) and Local Municipality (rates, electricity and other). A letter of exemption can be obtained from the Municipality for incumbents who do not pay for services together with a letter of proof of residency • Certified copy of a Certificate of Company Registration with the Registrar of Companies and CC’s (CK) • Certified copy of B-BBEE Certificate/ Certified Affidavit • Certified copies of ID’s • Form of offer • MDB 4, 8 and 9• Registration with CSD. Bid documents must be submitted in a SEALED ENVELOPE clearly marked with the TENDER NUMBER AND CLOSING DATE and dropped off in the tender box at the Dr Nkosazana Dlamini-Zuma Municipality Offices, Main Street, Creighton by no later than 01 May 2019 before 12:00. Late or faxed bids WILL NOT be accepted. Enquiries may be directed to the following persons during office hours (08:00 – 16:30). Procedure related enquires: Miss Holiwe, on tel. 039 833 1038. Technical enquiries: Mr M. Mzimela, on tel. 039 833 1038.